These easy ricotta cheese cookies are great for cookie exchange, dessert or snack! They are soft and moist on the inside but crispy on the outside! 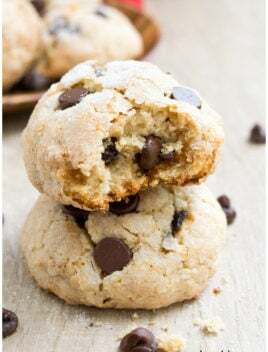 I LOVEEEE ricotta cheese and I used to think that it can only be used in savory recipes but these ricotta cheese cookies proved me wrong. It’s the BEST ingredient to use in desserts. It adds so much MOISTURE and RICHNESS to your baked goods. 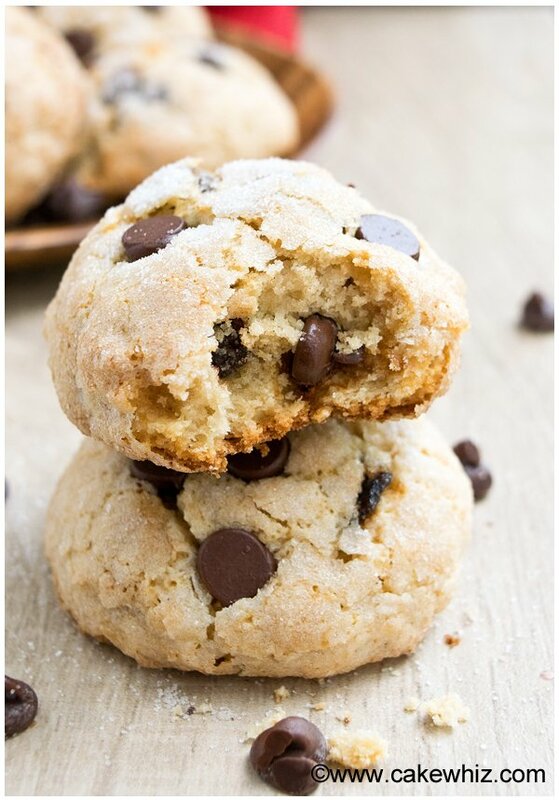 A few of you know that I am ALWAYS tweaking my chocolate chip cookie recipe but after adding a bit of ricotta cheese into my recipe, I don’t think I will be changing anything any more…heheh. 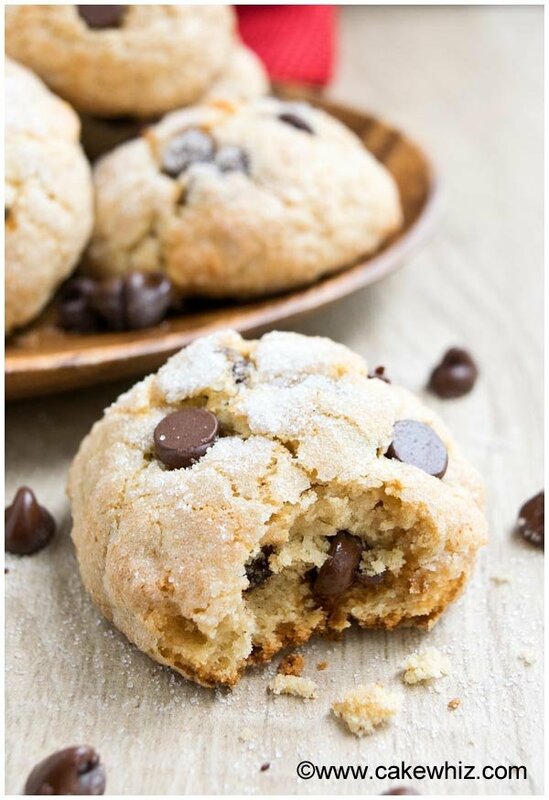 These ricotta cheese chocolate chip cookies taste HEAVENLY! They are sugary and crispy on the outside but insanely soft on the inside. They are probably the SOFTEST cookies I have ever made! Normally, I am biased towards crispy cookies but I have made an EXCEPTION here coz these are so darn good….lol! There’s almost a “CAKEY” feel to them. I only added chocolate chips in this batch but you try other add-ins like nuts and different flavors of baking chips. - Chill the dough for at least an hour so that it’s easier to handle. Loved these cookies. Huge hit with everyone! Great idea on using ricotta.. and thanks for the nutritional info as well. 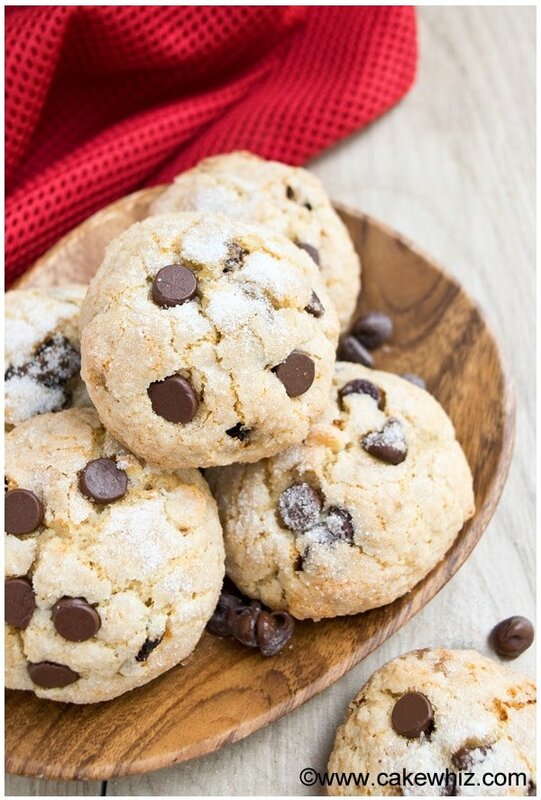 These Cookies are AMAZING…I followed the recipe exactly with perfect results..So light and delicious and this is my new recipe for Chocolate Chip Cookies..The days of flat, hard Cookies are over. .I am so happy I found this site…Thanks a bunch! You just made me so happy!